One of my goals this year is to simply sketch more. I will try to post some of my sketches as I go along. This is one I did today. Nothing detailed, as I usually get pretty crazy with detail. I wanted to keep this one simple so that it would maintain that look of fun, movement, and spontaneity. 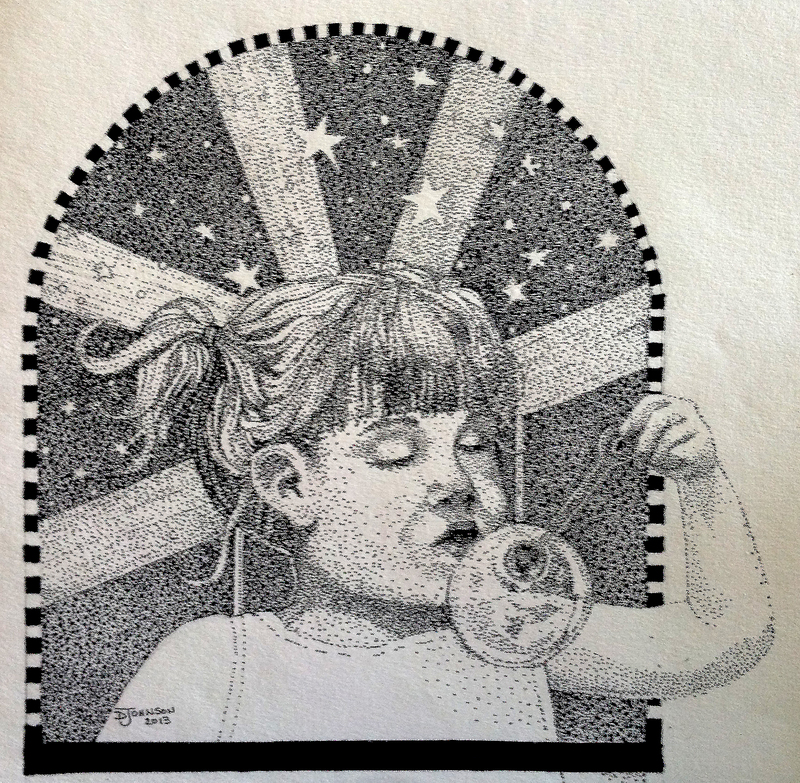 Another page from my sketchbook reveals a recent small pen and ink drawing from a photo that I took about 25 years ago of my daughter. She was blowing bubbles in the backyard of our small cottage in Lake Orion, Michigan. 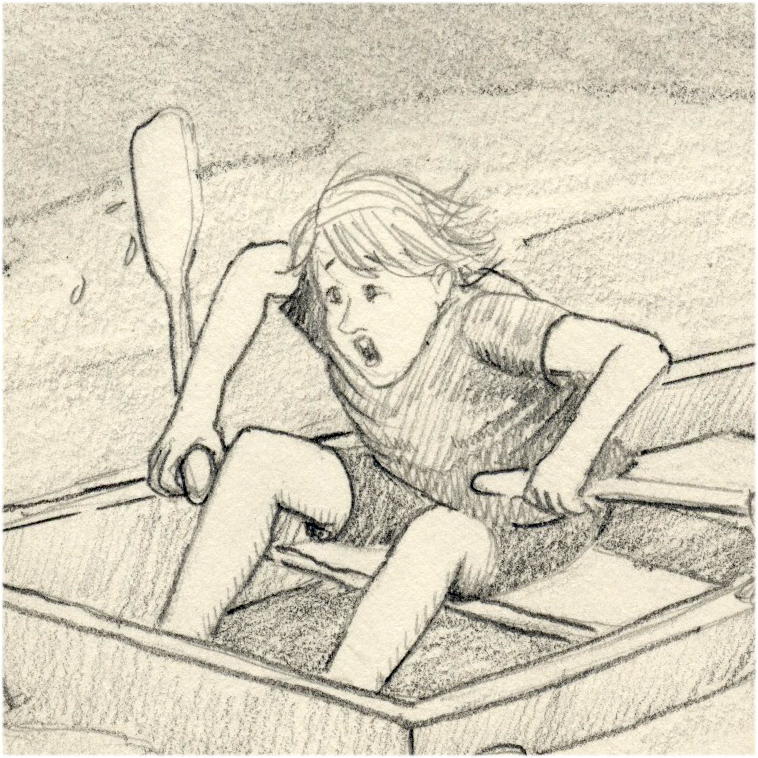 I have to admit that the most intriguing element for me in the drawing process was the hair. I got caught up in the curls and shadows and time stood still while I doodled away! Sketching and journaling are two important aspects of my daily life, however I haven’t sketched regularly in several months and I have suffered for it in my heart! So, I am back to sketching and feeling so much better these days. I try to do at least one little sketch in my sketchbook to keep fresh. I love the feel of the pencils and ink pens in my hands, almost as much as I love the paintbrush in my hands. 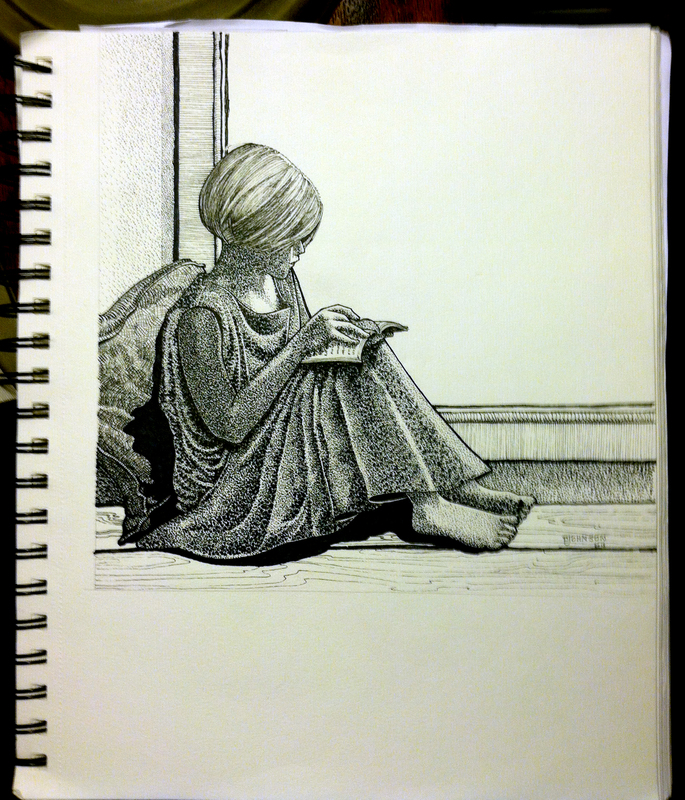 I thought I would share one of my recent sketchbook entries…enjoy! I’m working on a new project and wanted to share a sketch with you. I shot some photos recently of some new friends of my husband and myself who are hobby beekeepers. 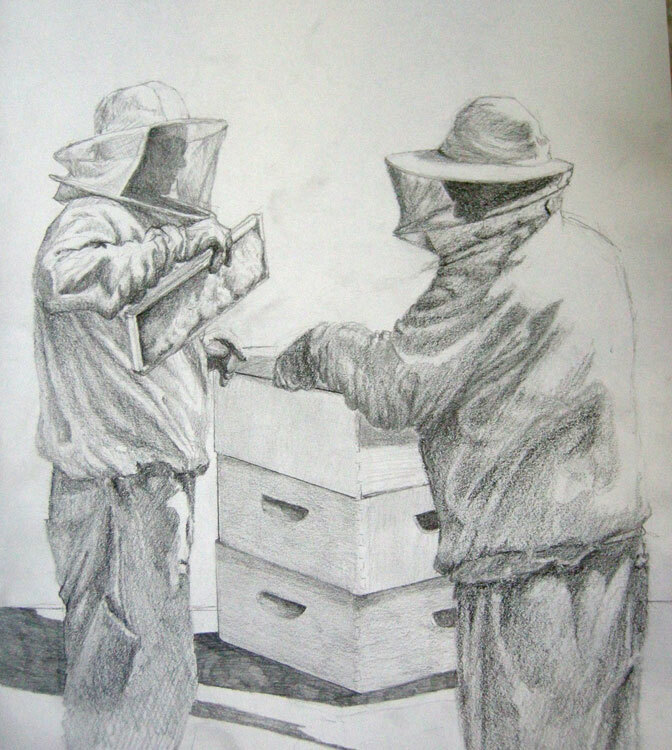 I thoroughly enjoyed watching them “rob the hive” of some of the delicious honey. They shared a lot of information with me and I learned so much! Hope you enjoy this little pencil sketch! 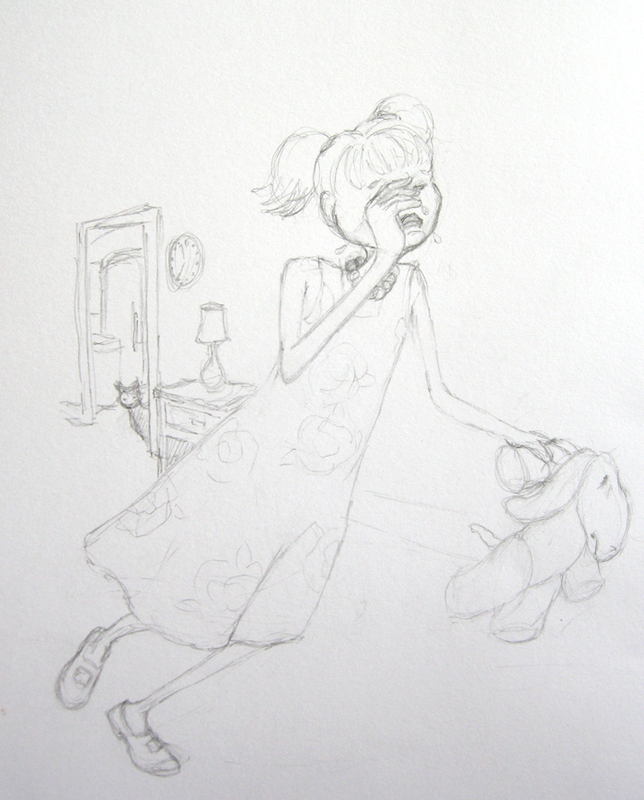 The pencil sketches for “Lilly Vanilly’s Tea Party” book for my granddaughter are complete. I am now working on the inking process, then I will add color. Ah, another quick image of one of my sketchbook pages. Yes, this is the same little girl from my previous post — just another view. She had beautiful curls and dark, big eyes. I hope I was able to capture her well enough! A few weeks ago I was shopping with a friend and spotted two women and a beautiful little girl with very luscious, curly hair. She was adorable. 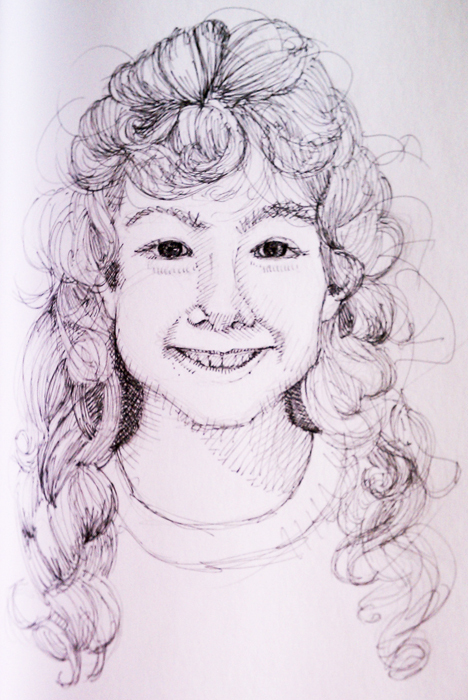 I asked her mom if I could have permission to take a couple of photos of her so that I could draw her. I gave her mom my business card, so that she would know my intent was honest. She was very gracious to give me permission. I thought it would be fun to share this page from my sketchbook with you. I will be doing more drawings of this adorable little girl. I started this one with a very fine point mechanical pencil, my favorite sketching tool. Then I added some fine point Pigma marker. 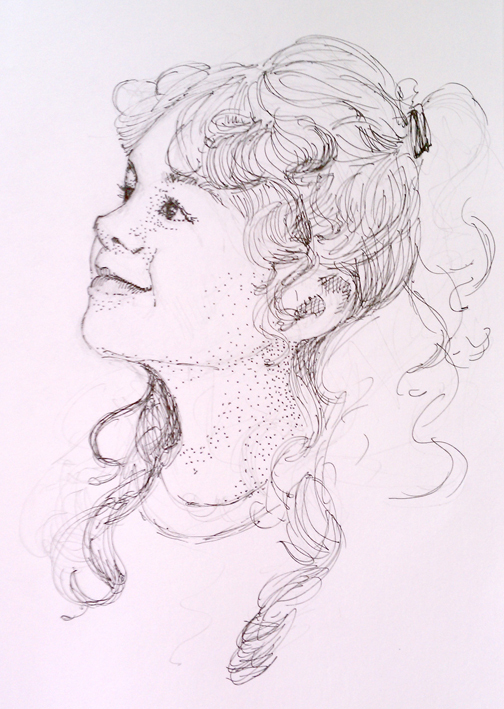 I have another view that I hope to work on soon, and hopefully I will capture more of her wonderful, curly hair! Special thanks to the mom who allowed me to take the reference photos. I deeply appreciate it!